SecureVideo - Zoom: How do I chat while in session? If while in a video session it would be easier for your participants to communicate by chat than speech (or it may be more useful to chat a message than speak it, like to send an article link), you can use ourvideoconferencing app's built-in chat feature. How does SecureVideo chat work? 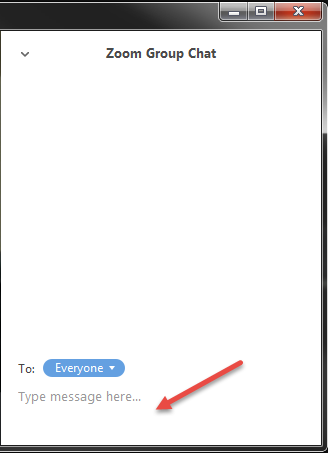 You can open a direct chat with any of your participants by clicking on the chat bubble icon. Then you will see a chat window to enter text and view responses. 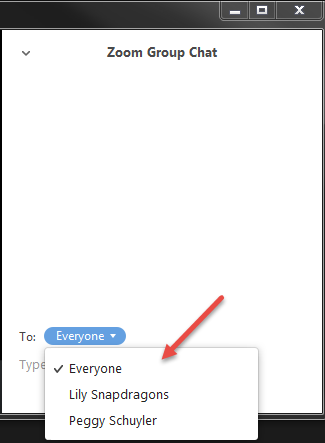 You can also select a specific person you wish to chat with if there is more than one person in the session.